Emily documents her insiders journey to find a new generation of activists. She goes underground with a group called The Black Fish as they employ unconventional tactics to protect the Mediterranean Sea off the coast of Sicily, Italy. Doing things differently, the activists attempt to track illegal fishing operations using controversial drone technology. The Polar Sea is a 10-part miniseries following an expedition through the legendary Northwest Passage. Nowhere on Earth is warming as quickly as the Arctic and nowhere are the impacts as dramatic. The most obvious effect is the shrinking polar ice cap. Its disappearance is drawing scientists, artists and explorers to the Arctic Ocean, eager to challenge the passage and understand climate change here. In addition to the TV show, a 360° interactive video journey will utilize the newest immersive film technologies, to take the audience on a narration-driven, visual and emotional tour of life in the Arctic. How To Change the World is about a group of friends who set out to change the way the world thinks, and who succeed, but at a cost: sometimes the cost is their friendships and, at times, their sanity. 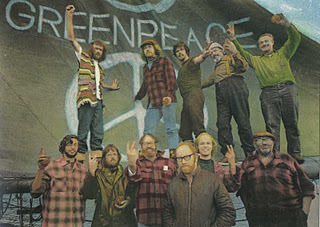 This film tells the story of the pioneers who established Greenpeace, using intimate footage from their personal archives that has never been seen in public.